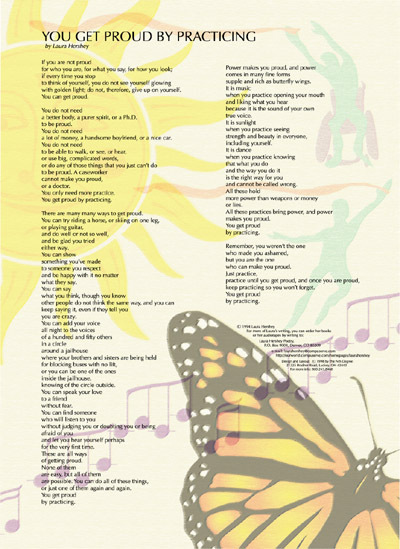 This full-color poster features the full text of Laura Hershey's popular poem, "You Get Proud By Practicing," along with beautiful images and layout design by Dan Wilkins of The Nth Degree. The poster is suitable for framing, and makes a wonderful gift. Each poster costs $8.00, plus $2.00 per order for shipping in a sturdy tube.